Cross a big one off the hockey bucket list for Mackenzie MacEachern. The Troy native just scored his first NHL goal. 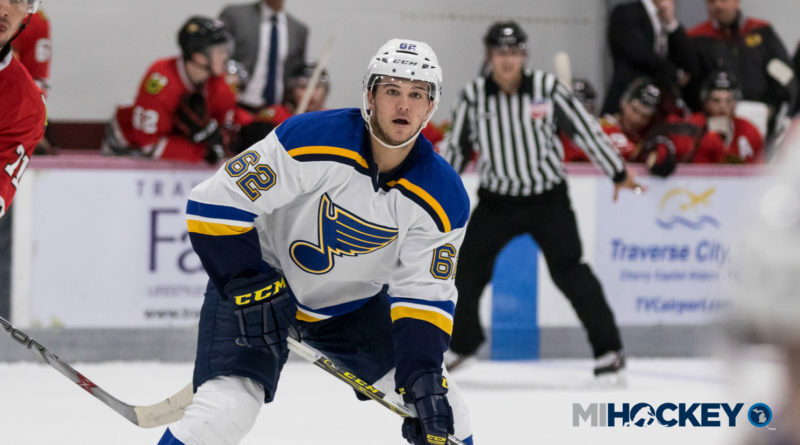 In a Martin Luther King Day early start for the St. Louis Blues in Los Angeles, the former Brother Rice and Michigan State star scored to give his NHL club a 1-0 lead in the first period. This is MacEachern’s fifth game with the Blues since he was called up before their Jan. 10 contest. MacEachern was a third-round pick of the Blues in 2012; he signed with the club in the summer of 2016 to forgo his senior season with Michigan State.